The American Red Cross has an urgent need for eligible blood donors to help #RestockTheShelves. Blood donors with types AB, O negative, B negative and A negative are especially needed. Make an appointment to give blood today from 12:00pm to 5:00pm at the Wappinger Town Hall located on Middlebush Rd. 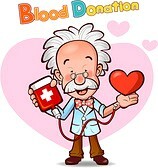 by downloading the Blood Donor App, visiting redcrossblood.org or calling 1-800-RED CROSS. Posted in Community Charity, Events, Local Happenings and tagged American Red Cross, Blood Drive, Dutchess County Legislator District 14, Francena Amparo, Legislator Amparo, Legislator Francena Amparo, Wappinger Town Hall, Wappingers Falls on September 8, 2015 by Dutchess County Legislator Francena Amparo.